Google gets searched more than 250 million times every day—creating an unbelievable opportunity to get your business in front of thousands every minute…IF you know what you’re doing. Google AdWords experts Perry Marshall and Bryan Todd uncover the fundamentals, techniques, tools, and tricks that Google should teach you, but doesn’t. Learn how to build an aggressive campaign from scratch, increase your search engine visibility, consistently capture clicks, double your website traffic, and increase your sales! No other guide is as comprehensive or current in its coverage of today’s fastest, most powerful advertising medium. Plus get FREE e-mail updates on Google’s ever-changing system! CHAPTER #3: HOW DO YOU KNOW IF YOU HAVE A REALLY GOOD IDEA? CHAPTER #5: HOW ENTREPRENEURS REALLY MAKE MONEY - BIG MONEY! 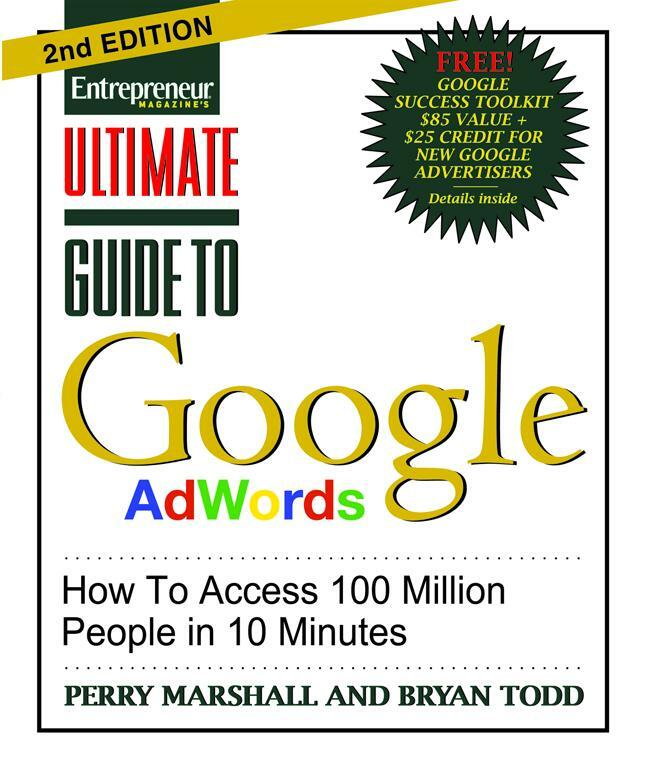 Perry Marshall is the #1 author and world's most-quoted consultant on Google advertising. He has helped over 100,000 advertisers save literally billions of dollars in "AdWords stupidity tax." Bryan Todd is an international marketing consultant and Google AdWords specialist.